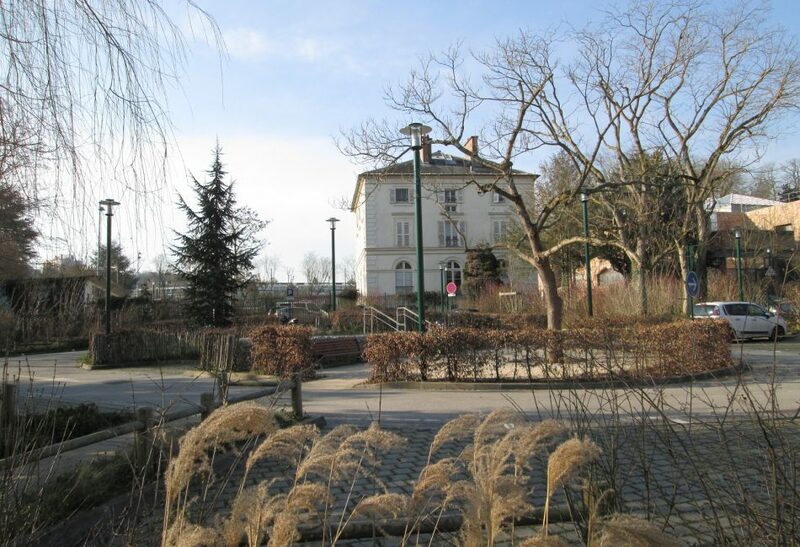 The site is in Ville d’Avray, a residential commune in the west of the metropolis, situated between Saint-Cloud Park and the Forest of Fausses-Reposes. The town would like to enhance its identity as a “sustainable town, sustaining nature” by redeveloping four communal plots of land situated where its shopping streets and the main square meet. These plots are occupied by a house, a villa, various partly-disused public facility buildings and a post office. They are surrounded by villas with large gardens and small tenement blocks. The town would like to build social and affordable housing, a retirement home and some facilities there: a crèche, parents and children reception centre and a medical home. The post office will have to be rebuilt. Parking lot, building with patrimonial interest, disused school, kindergarten and post office.